Made from a family recipe that dates back to 1926 and using all natural ingredients, FAGE Total strained yoghurt contains no added sweeteners, thickeners or preservatives. Just whole milk, cream and cultures go through our proprietary process to create this blissful, low-calorie taste experience. In fact, approximately 4 litres of milk are needed to make just one kilo of FAGE Total Greek recipe strained yoghurt. 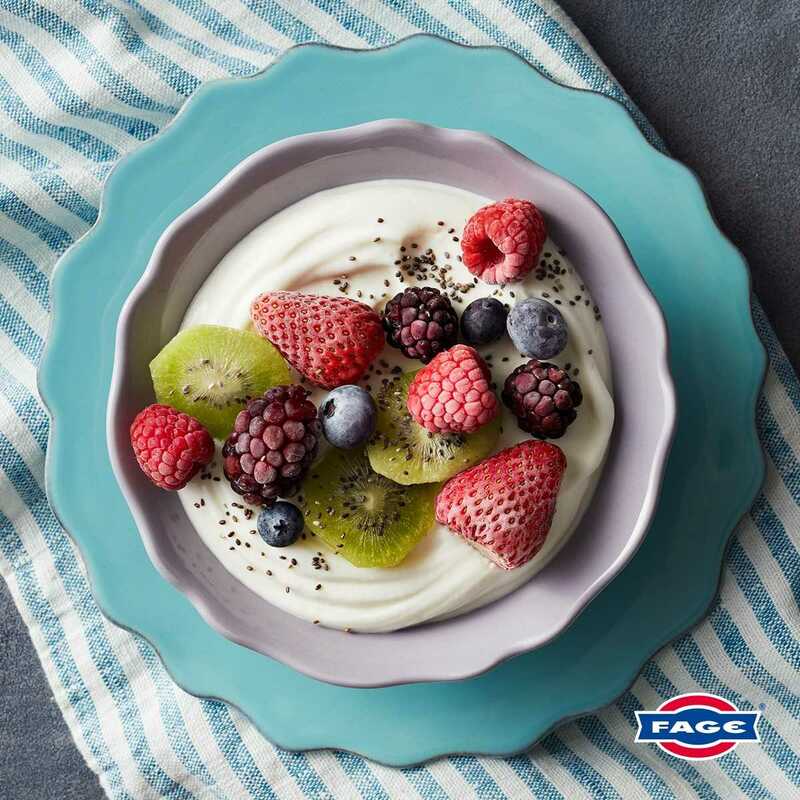 FAGE Total strained yoghurt makes a great addition to any healthy eating plan because of its high concentration of all-natural protein, raw ingredients, low calorie count and versatility. It’s packed with powerful protein. FAGE Total’s special straining process yields luxuriously thick yoghurt as well as something extraordinary: a high concentration of all-natural protein. Protein is a powerful, muscle-building nutrient that helps deliver steady and sustained energy throughout your day. 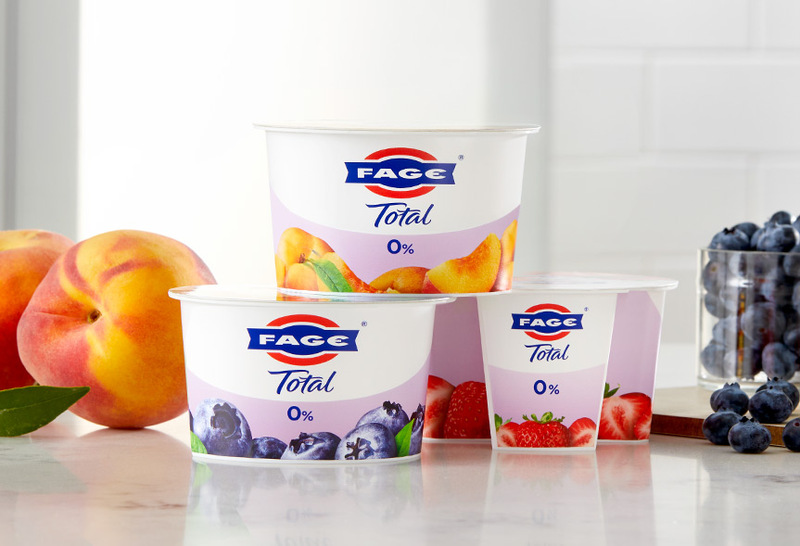 With over 10g protein per 100g, FAGE Total can help you through your day. It’s low-calorie — but filling. 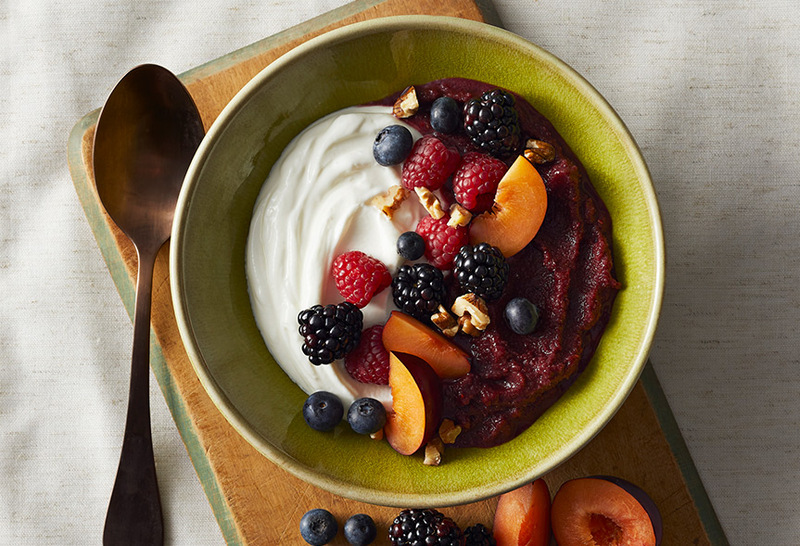 FAGE Total Greek recipe strained yoghurt is an inherently low-calorie food. Because we don’t use any artificial sweeteners, there are no extra “sugary” calories. In fact, FAGE Total has fewer calories than many other common dietary snacks and is more filling. FAGE Total is a helping hand in the kitchen. Due to its thick, creamy texture, it can easily replace higher-calorie foods such as cream, mayonnaise, crème fraîche and sour cream. Cut the calories — enhance the taste. For recipes and inspiration click here.